It’s been a bit of a roller coaster of emotions and feelings as we await the arrival of our third baby due any day or any week now. Just like my pregnancy apps warn me: “You may start to feel anxious about your impending labor and delivery“. You think?! I’ve been wanting to feel as ignorant as I was before we had our first baby and the only thing keeping my anxious thoughts and fears at bay are by praying multiple times a day for God to take my anxieties away. He wants this for us (to take our anxieties away), it’s all over Scripture, and I read these verses whenever I need a reminder that God will provide for us — we need only pray and ask. And perhaps most importantly – you won’t be pregnant anymore!!! I had a rough few days where I was feeling so done about being pregnant, but I have generally enjoyed the end of this pregnancy very much. I’m also mentally prepared for the long run — potentially 2 more weeks. There is a light at the end of the tunnel and we can start that next, exciting chapter in our lives! If you’re feeling a bit anxious at the end of your pregnancy, I hope this helps comfort you too, even a little bit! « Baby Registries: Register for ALL the Things From ALL the Places! Sarah, Psalm 139 is one of my favorites. 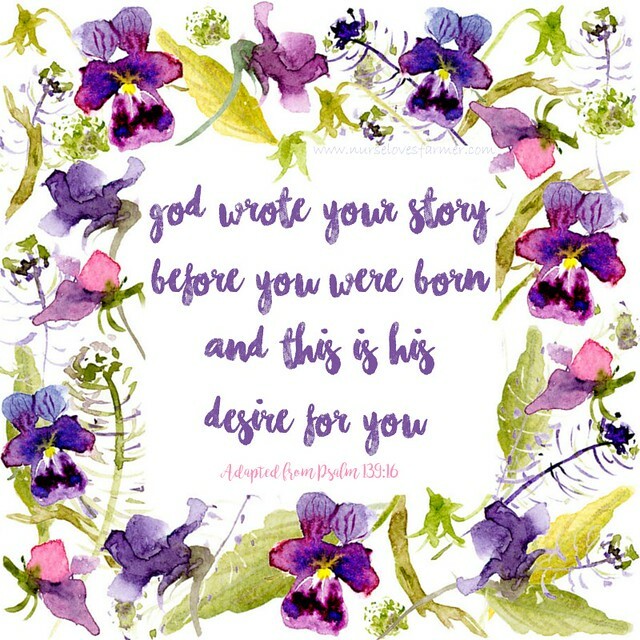 It speaks to the fact that God had known everything about you from your birth and before. Yes!! It means so much, so comforting!